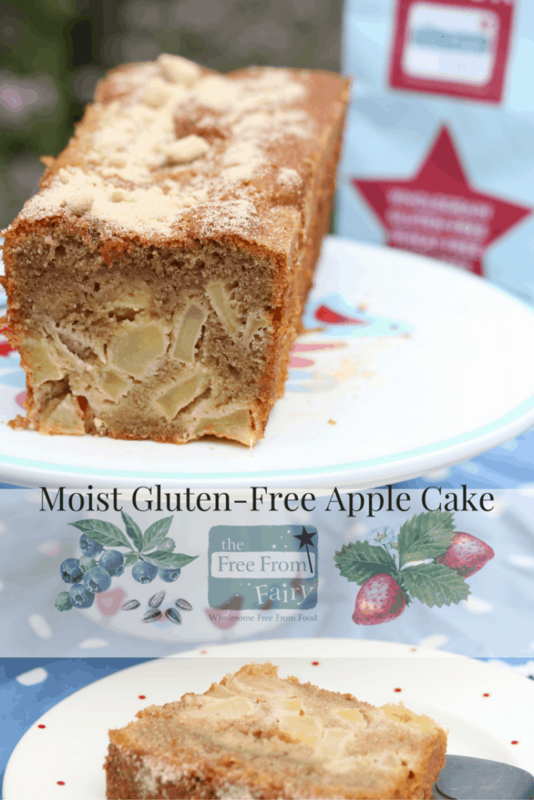 Gluten-Free Apple Loaf Cake & A Flour Update | The Free From Fairy. 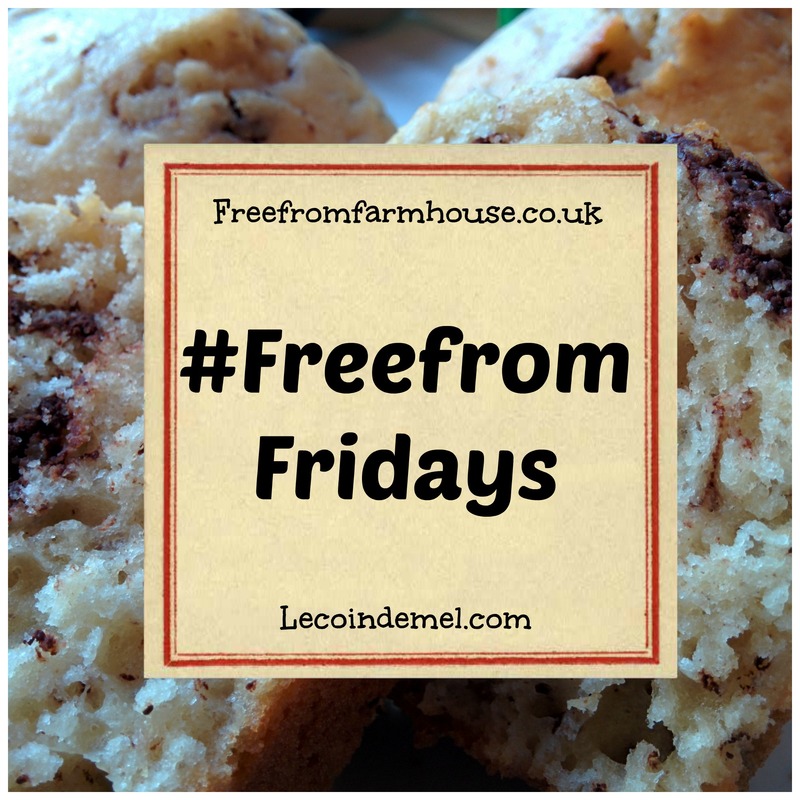 It’s been another week of head down trying to work out what to do with my tonne of flour. I’ve rather lost touch with what is going on in the real world, allowing myself only the shortest of time on social media before emerging myself back into figures. Figures are not what I enjoy. 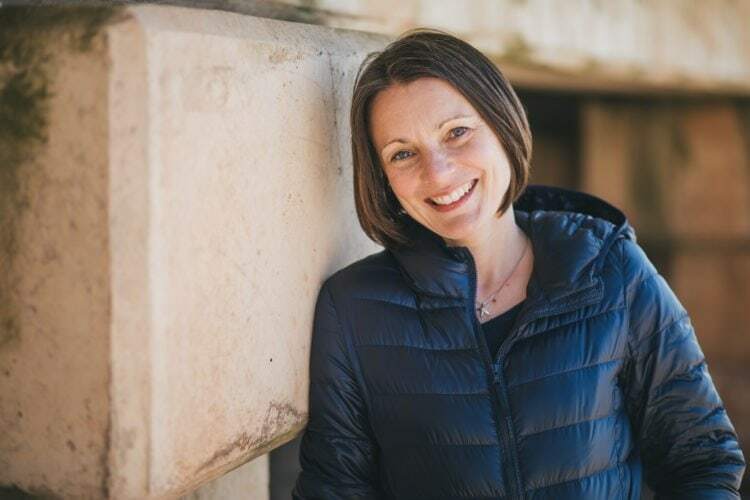 I enjoy interacting with you all and creating new and exciting new recipes. Not much of either has happened this week. However, I am delighted to tell you that Amazon finally approved my application to sell in the Grocery section. I’m now just waiting for a slot to appear in the factory’s busy schedule so that I can get the flour bagged up and sent out. On the downside I have had to re-evaluate the price of the flour. The unexpected extra shipping costs and Amazon charges meant that with a RRP of £5.65 I was going to be out-of-pocket. I’m afraid I have therefore had to set the RRP at £5.99, but I will be offering a special deal to those of you who can buy in bulk. I will be selling 6 packets for £30 including postage to mainland UK addresses from my website. I’m really disappointed with the cost of the flour. I want it to be accessible to everyone but I know at that price it is not. However, as a small producer, and now with a multitude of delivery charges to consume, I just cannot afford to sell it for less…I can’t be out-of-pocket in order to get it to you. If it doesn’t work and nobody can afford it then at least I can say that I tried, and that is the example that I want to demonstrate to my children. In addition to me and Amazon selling my flour, it will be for sale on Tabl and in the River Cottage canteen and deli in Plymouth. Keep your eyes peeled on my stockist page to find out more details on where and when the flour is for sale. In the meantime, I will share another recipe I created using it. I developed this recipe for Cake Decorating & Sugar Craft magazine who I was told were going to do a full page feature on my flour. 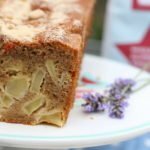 I’m not sure if it ever happened so I thought I would share the recipe today since there are so many apples around at the moment and I haven’t had time for recipe development recently. « The Allergy Show North…Here I Come! So pleased you have finally got the outlet at Amazon. It’s just so hard being a small producer and delivery costs are always huge. 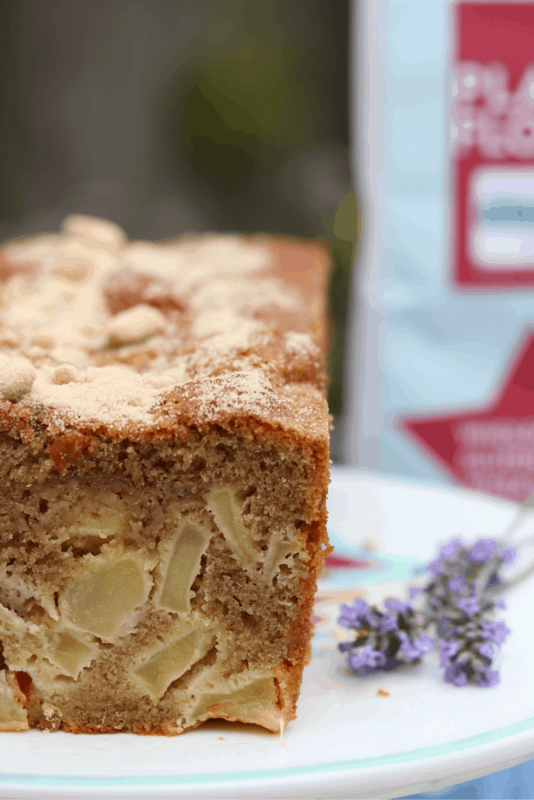 Would you ever sell your secret recipe blend to a large flour manufacturer?? Hard question but it could eventually be an option. Just a thought! Hi Sally, thank you for your kind words. I would jump at selling the recipe!! Thanks Midge. Not sure the dilemma is quite sorted. Having 936 bags of flour in the house is less than ideal!!!! 😉 Hopefully it will sell on Amazon and I will be able to ship more in! 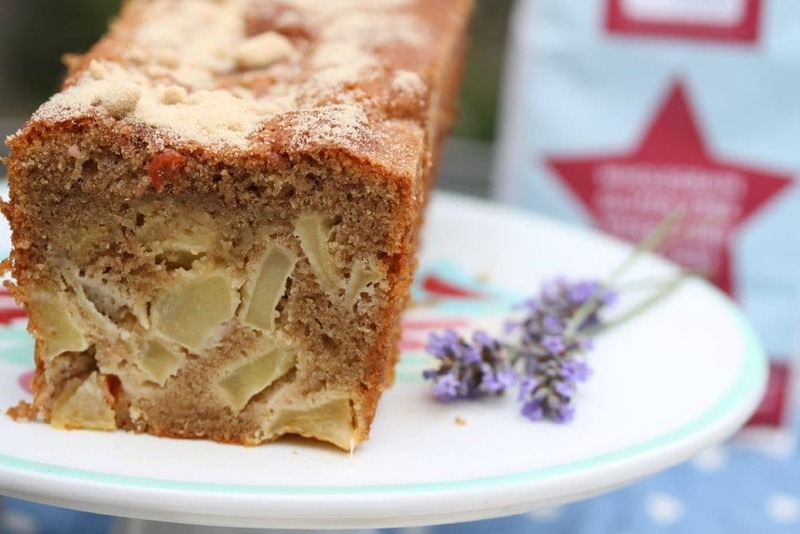 Your apple loaf cake looks delicious Vicki. How exciting that your selling your flour on Amazon, wishing you every success. Oh my goodness do I love the sound of this recipe!! 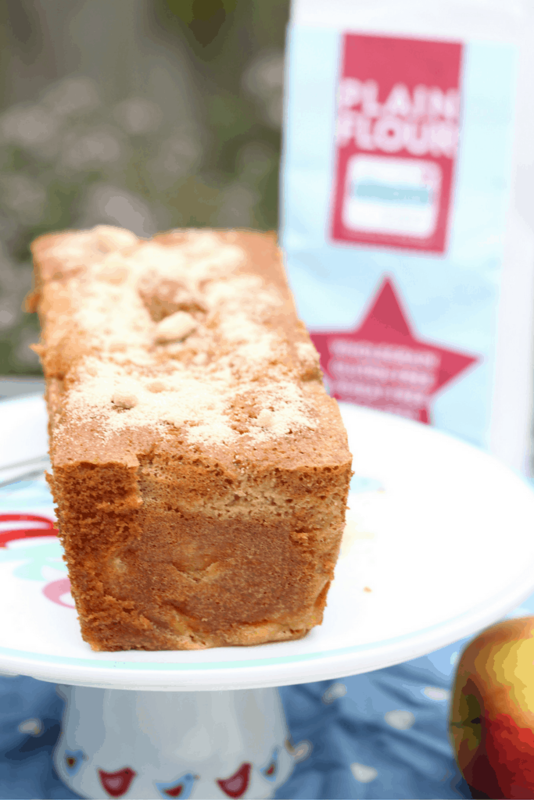 I love apple cake, and matched with a mug of tea, it’s perfect for chilly afternoons! Well done on being accepted on Amazon, that’s a great achievement! Thanks Nat. It’s a start. Fingers crossed it sells! Thanks so much Mel for your support. I can’t wait to see you at RC!!! Congratulations on getting it on to Amazon, fantastic! I will definetely support you in buying it however I just wondered what the percentage of potato starch is in the flour please? Ideally I like to avoid this completely because as a resistant starch it causes me digestive discomfort but I’m wondering if it’s just a small amount in your flour then it might be ok.
Hi Fran. The potato starch only makes up a very small percentage of the mix. I can’t tell you exactly or I will eventually give the recipe away!!! It is the smallest amount of all the flours…less than 15%!